Stack the Cash! Made from PVC for wearability and long-lasting use. 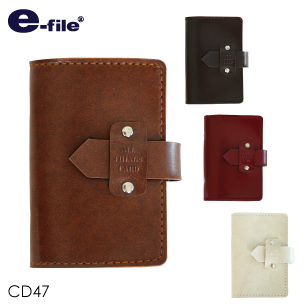 Perfect for holding multiple bank books (passbooks) or passports and etc. Besides 7 bankbook sized pockets, there are credit card sized packets for all your cards, which comes with its own button fastening. The holder comes with its own zipper for a better safety, too. Comes in 4 colours: Green, Red, Blue and Brown. Size 24.5 x 17.3 cm.